What is the difference in a balcony and a gallery? They are both desired, they both love plants hanging, its a view, its a place to sit and watch, and its a place to be watched. 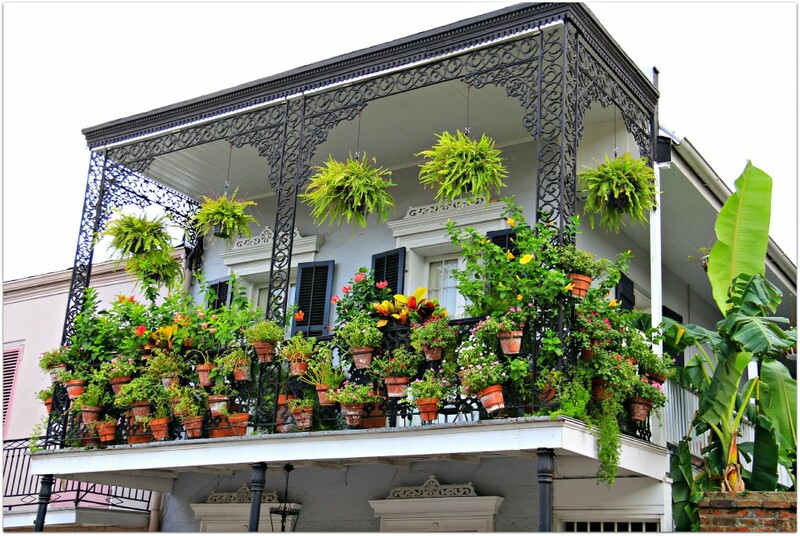 Balconies in New Orleans are free standing and do have other type of support. That allows galleries to be more functional and be wider because of the support. You can have a double gallery and it becomes more like a porch if you are on the lower galleries.